USANA Australia RESET Challenge winner Meril Perera works as an IT professional and after more than two decades of poor lifestyle choices, a busy schedule and too many failed diets to count he decided enough was enough. With the encouragement of his wife Thilini, and his seven year old son Dinura, Meril decided to join the RESET Challenge. Meril and Thilini first heard about the Challenge from their friend Shammi and after learning more about USANA they decided to join as Associates. 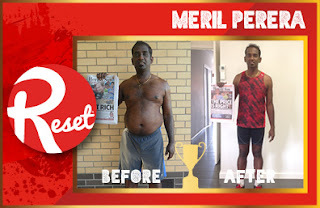 Meril decided to join the RESET Challenge to improve his lifestyle habits, wellbeing and a physical appearance, something he had craved to change for years. When Meril started the Challenge he wore a XXL shirt and was more than 100kg, now he is well under that and fits into a S-M shirt. “I am so happy with my incredible physical change,” he said. Meril said while he is happy with his results it wasn’t easy! He said the first five days of the Challenge was hard but it “helped me to reset my lifestyle and food habits”. During the jump start Meril lost 3.1 kilograms which he said was a “big achievement” and motivated him to keep going. Meril said it’s important to remember that the RESET Challenge is “not just a weight management challenge, it links with our body, mind and soul”. Throughout the 13 week Challenge Meril went to Jetts 24/7 Gym every day and joined an outdoor bootcamp. With the help of his personal trainer Danny Reeves, Meril was offered advice and support from the very beginning which he believes contributed to his success. 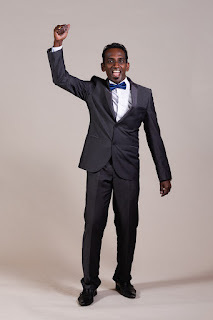 He said his USANA products also played a vital role in his RESET journey. Meril said he appreciates the “tremendous support and commitment from my loving wife, son and family”. He also wants to give thanks to his team “Team Vision Dynamic” for their support which “was a big part in me achieving such great results in the RESET Challenge” as well as his friends and colleagues who “encouraged me and helped me raise the bar to go beyond my target to reach success”. “I also want to thank USANA/TVD up line Rita Amarasinghe, Vajira Amarasinghe, Jerome Amarasinghe, Ann Perera and Amal Jayasuriysa who encouraged, followed up and monitored me during the program by sharing their knowledge and experience,” he said. Jerome, Ann and Amal were Meril’s role models during the Challenge having won the RESET challenge for last three consecutive years. Meril said he is grateful to USANA for creating this Challenge which has boosted not only his but all participant’s confidence and capabilities in many ways.